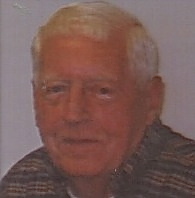 OSWEGO, NY – Harry J. Tynan Sr., 85, a resident of Scriba, passed away Wednesday August 6, 2014, at home. Born in Red Creek, he was the son of the late Harry and Edith (Grant) Tynan. Harry was a U.S. Army veteran, serving from 1954-1956. He retired as a custodial supervisor from SUNY Oswego. Surviving are five sons, Harry Jr. (Cindy) of Oswego, James (Darlene) of Oswego, Timothy (Michele) of East Amherst, NY, Michael of Scriba and Robert (Becky) of Syracuse, In; several grandchildren and great-grandchildren; his brother, John of Oswego; his sister, Carol Carroll of Rochester; and several nieces and nephews. Besides his parents, he was predeceased by his wife, Frances L. Tynan, in 2013; his son, William; his brothers, Thomas, Lester, Patrick and Roger Tynan; and sisters, Gertrude, Ethelyn and Peggy Tynan. At Harry’s request, there will be no calling hours or services.